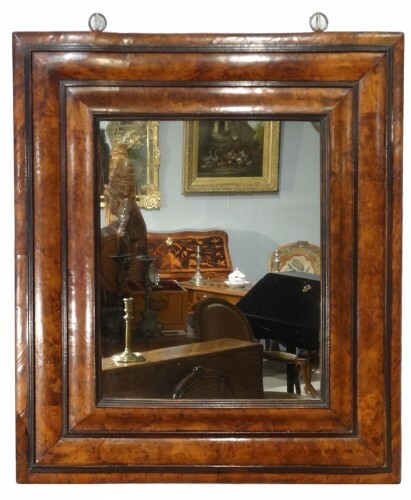 A tortoiseshell mirror, Antwerp, 2nd half 17th C.
A fine antique mirror of rectangular shape with a broad oak frame with black stained wooden inner profile and covered in red tortoiseshell. 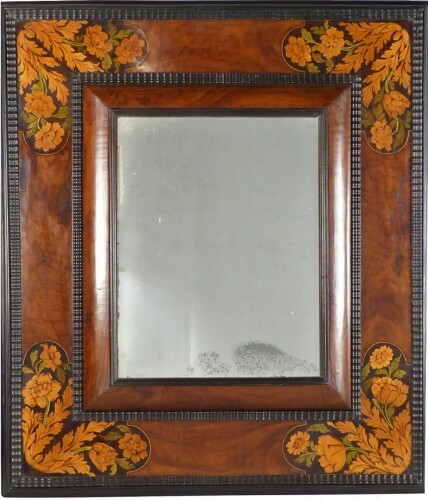 Each corner is mounted with repoussé and gilded copper appliques with floral and foliate decoration and oval oblique glass insets. 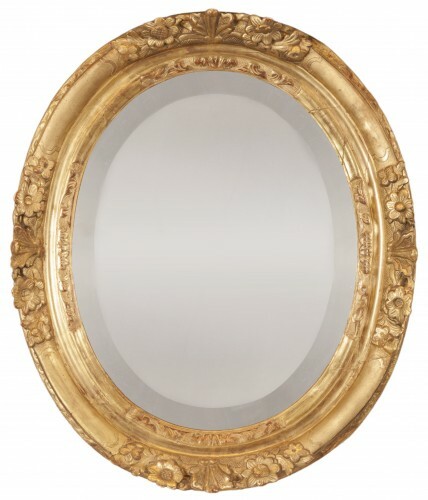 The mirror contains the original antique mercury glass. Antwerp. 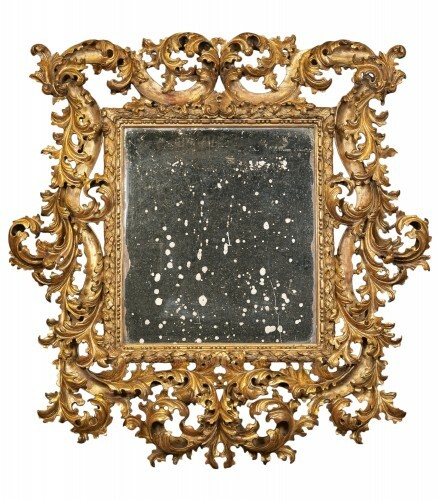 Baroque. 2nd half of the 17th century. 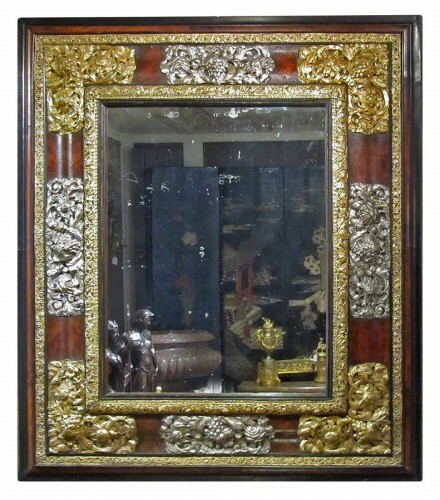 Dimensions: 36,5cm x 28 cm.